Sanatana means eternal, never beginning nor ending. Dharma is from dhri, meaning to hold together, to sustain. 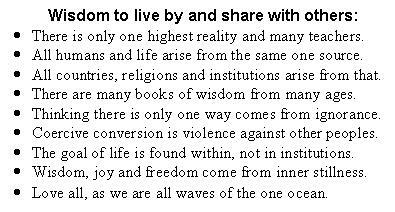 Sanatana Dharma eternally holds All together. Applicable to all people of all places and times. Devoid of sectarianism or denominationalism. the great teachers were born. but is inclusive of all. our earth and humanity itself emerged. but always was, and always will be. the higher goal of life.